I’d already come to a decision a year before my departure – I knew what I would be doing, while my health permitted. I named Rustam Minnikhanov. I think that the right man was appointed and events since have confirmed this. 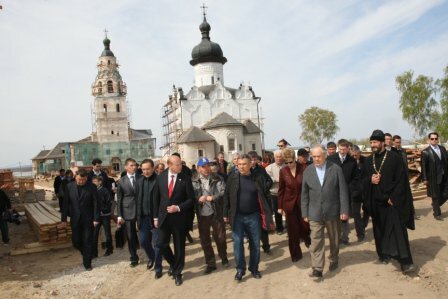 I’m now busy with a very significant project, the restoration of the town of Bulgar – the ancient Tatar capital – and the island-town Sviyazhsk, the centre of Orthodox Christianity in Tatarstan. Lobbying power is needed to implement this project and there is provision for it in the budget. Besides, the project has such wide resonance that people are really giving it serious support. It wasn’t the right time to think about our historical heritage earlier. But now – the roof isn’t leaking, there’s bread on the table in every home and in the country as a whole. Now it’s time to signal the revival, or, more accurately, discovery of spirituality by our people. Yes, but we’re not inclined to call it that. Mecca is Mecca; there is only one Mecca in the world for Muslims. It would be more appropriate to describe Bulgar as the place in today’s Russia where the state voluntarily adopted Islam. Voluntarily – that’s most important. It’s well known that Islam was adopted earlier in the town of Derbent (Republic of Dagestan), but that was as a result of conquest. Sviyazhsk was founded by Ivan the Terrible, the Tsar who conquered Kazan. Repressions didn’t only take place in the 30s – they began in 1918. Trotsky blamed Red Army troops for retreating from Kazan, and had every tenth soldier shot. That happened on the island of Sviyazhsk. There was also a GULAG there, and a psychiatric hospital – what wasn’t there on the island! We’ve already put together a first list of those who were shot: more than three thousand people, by name. We need to pass objective history on to future generations, but one mustn’t live for revenge. The Budanov case is a sad example. 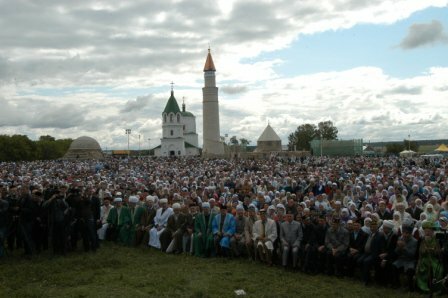 Yes, the problem of Chechnya is complicated. But what was the young girl who was raped and killed guilty of? If we want to live in the same state, then there has to be a legal opinion, with no outside influence – only a court of law. But instead, how they tried…and Budanov was almost acquitted. And what about the cases of synagogue vandalism? Too often we excuse intolerable actions: we’ve been attempting to portray them as simple hooliganism for several years now, although it was obvious that people of different ethnicities were being killed in Petersburg and Moscow. It’s only now, with the passing of the years, that we are beginning to pay the price for underestimating what has been going on in society. This is the death knell of Russia. If we want to ruin the country with our own hands, then we should carry on in this spirit. One shouldn’t consider this an attractive slogan – it’s a provocation to all other peoples. There was much more of the positive in the nationalities politics of the USSR. I’m a living participant of that work on the Union Treaty, because all the heads of autonomous republics were also there. How did we get there? There was one historic moment. At one of the Congresses of People’s Deputies of the USSR a higher governing body was created – the Federation Council. Not the current one, another one. Rulers of the Union republics joined this body and they were supposed to govern the country collectively, under the leadership of President Gorbachev, and to work on the Union Treaty. It had something to do with the prevailing excessive centralization at the time and the lack of rights for union republics. You can’t regulate the whole of human life. 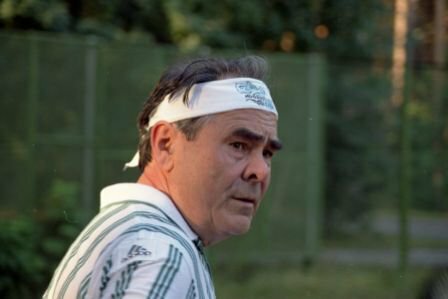 I always remember how, at one of the congresses of the Communist Party of the Soviet Union, Leonid Brezhnev criticized Gosplan [the state planning committee] for taking its eye off the ball in planning thread production, and at some point or other there was suddenly a shortage. When I was chair of the government of the Tatar Autonomous Soviet Socialist Republic, Moscow told us what the fat content of our tvorog [a type of curd cheese] should be. This is not just some amusing story. If the fat content of the tvorog was higher, that meant that we were failing to deliver a certain amount of butter to the Union reserves, and were eating it ourselves. The union republic with the least rights of all was the Russian Soviet Federal Socialist Republic; in others there was a greater degree of freedom. So after perestroika started, it was Russia that made the first declaration of sovereignty. This goes almost unmentioned now. We in Tatarstan made our own declaration only after Russia’s, because we had no rights before either the Union or Russia. So Tatarstan was doubly without rights. 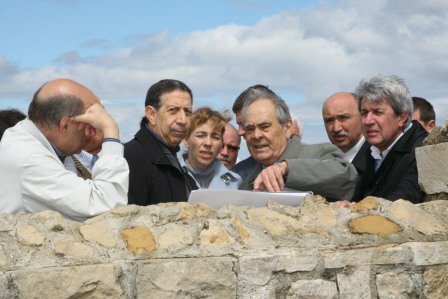 When, and how, did you find out about the Belavezha Accords? The former mayor of Moscow, Yury Luzhkov, was one of the politicians of the new Russia with whom you formed a fairly close relationship. Have your relations continued? "It was inevitable: new conditions – new party. It was necessary to unite, and good that we had wit enough not to drag out this process. 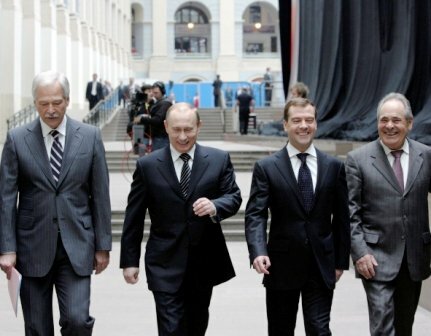 We became co-chairs of ‘United Russia’ – Luzhkov, Shoigu and I." We were becoming more attractive to the regions, and they joined us enthusiastically. The centre got worried. 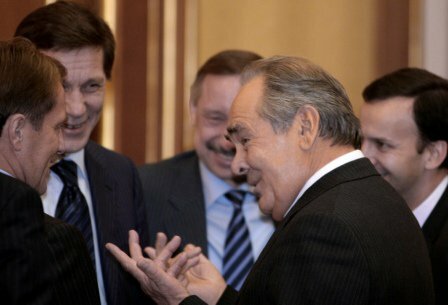 At that point Evgeny Primakov said that if we joined forces with ‘Fatherland’, he too would support us. So we did, but this made President [of the Russian Federation] Boris Yeltsin genuinely nervous. He invited me to meet him and asked what we were doing, what we wanted to achieve. I said that we were uniting the rulers of the economically powerful regions, and that their experience was needed in order to get through these difficult years peacefully. I calmly explained that if we didn’t do it, then others would. 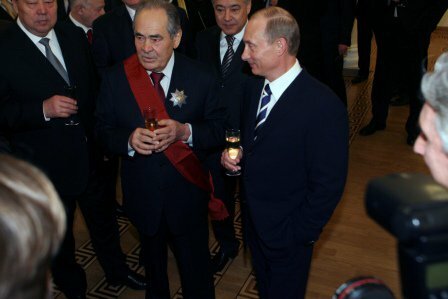 Then the organisation ‘Unity’, headed by Sergei Shoigu, was swiftly put together. It was inevitable: new conditions – new party. It was necessary to unite, and good that we had wit enough not to drag out this process. 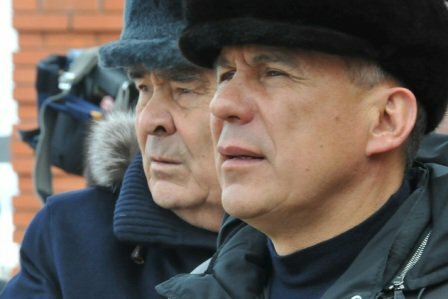 We became co-chairs of ‘United Russia’ – Luzhkov, Shoigu and I.